Are you on our side or our enemies? We all have the tendency to think that we are on the right side of any argument. “I’m right, you’re wrong!” We see ourselves on the winning team, because we know that we are. It is easy to picture ourselves as the good guys. It’s easy to say “we are the one God chooses to bless, God is on our side!” That is our perception, it’s our understanding. It makes us feel better and at times it helps us to justify our behaviour. But are we right? Is God really on our side? Joshua, the leader of God’s chosen people, stood with the walls of the city Jericho in the background. This fortified city, in the land he had been instructed to go and conquer, was a big challenge. But there was nothing to worry about, God was on Joshua’s side, right? Or was he? Our natural reaction is to say “Yes! of course God was on Joshua’s side!” Joshua was the leader of the Israelites, he was the apprentice of Moses. But when we look at the Bible and the encounter Joshua had with the commander of the Lord’s army, we get a slightly different picture. Joshua encounters this commander of the Lord’s army, who could well be the pre-incarnate Jesus himself. But this commander does not identify himself with either side in the growing conflict. He is neither for those in Jericho nor does he say he’s on the side of the nation of Israel. The Lord does not “take sides” in this conflict. Instead, the Lord stands above the conflict. He is righteous, He is true and just. The Lord is Sovereign and thus acts for His good will and purpose. In this case, it was for Joshua and the Israelites. But at other times the Lord would let Israel’s enemies have the upper hand. So the Lord works his purposes out. The Lord is on His own side. After all, he created the people on both sides of this situation. His love is present for his creation, but where sin has separated the people from him, the consequences of judgement will come. When Israel disobeys the Lord and Akin keeps some of the plunder from Jericho for himself, Akin’s sin becomes a problem for the whole community. The Lord withdraws his hand from Israel leading to the defeat at Ai. Akin eventually receives the consequences for his sin. Our world is full of division, whether it is political, religious, or social division. Yet in the midst of this division everyone seems to claim that God is on their side of the argument. However much we may want God on our side, we need to remember that God is on His side. His side is one of holiness, righteousness and truth. The Lord is looking for people to be on his side. He is looking for people who will seek to walk in righteousness and holiness. After all, the Lord tells us “Be Holy because I am Holy”. In the battle at Jericho, God did not take sides, but he did work with Joshua. He guided, empowered and brought the walls of Jericho down. He did it to further his greater sovereign purposes for the chosen nation of Israel. God’s will was done. That is perhaps the best attitude we can have, to humble ourselves, remove our shoes and recognize we stand on Holy Ground. Seek the Lord’s direction and understanding rather than our own. So whose side are you on? Lord God, king of the universe, you are worthy of all praise and glory. You have created all things and I marvel at the beauty and complexity of your creation, from grand mountain peak to the simple structure of an amoeba. I am amazed at the complexity of the human body and glorify you that I am fearfully and wonderfully made. May you be glorified in the earth today! In Jesus name, Amen. When the disciples asked Jesus to teach them to pray, he taught them what we know as the Lord’s Prayer. This prayer has become a model for Christian prayer ever since. It can be prayed directly in faith, to cover all of the needs we have each day. Or it can be used as a model, a framework, from which an extended time of prayer can emerge. The prayer begins with “Our father”, two words, but with profound meaning. It is right that they ask questions like this, each of us need to personally respond to the drawing and calling of the Holy Spirit, leading us into faith in Jesus. But while our decision to respond to the person of Jesus is personal we are born again into community, not as isolated individuals. Yes, faith is personal, but it’s not private. We are part of a community. We are members of the body of Christ, the Church. This should be no surprise to us, as it is consistent with how God has chosen to work in the past. He has chosen to work with families, Adam and Eve, the family of Abraham, the children of Israel. God chose to work through a Covenant relationship with the Nation of Israel beginning with the Exodus from Egypt and continuing through to the present day. When Jesus instructs us to pray “Our” Father, he is reminding us that we pray as part of a community, not as mere individuals. The prayer is not about us as individuals. It is not about getting what we want as individuals. It is not about God just meeting my needs. It is a prayer set in the context of community. It’s a reminder, that when we pray, even if it as an individual, that we are part of the larger community. 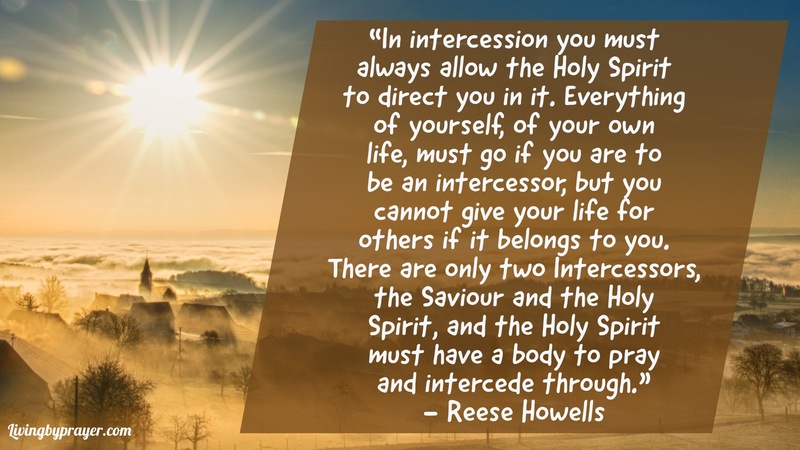 We pray as the body of Christ and not as an isolated individual. It’s important because God chooses to work through groups of people rather than individuals. Sometimes the leader is the only one who is seen, but there is always a group of people together. No one person has all of the gifts of the Holy Spirit. God has designed us to need each other. As we work together using the gifts, talents and resources the Lord has given to us, we see his kingdom expanded. God chooses to work this way because God is a person who loves community. In fact, God is community. He is the triune God, three persons yet one. The trinity is this mysterious expression of community, which through the Holy Spirit, we are invited to participate in. God reflects his very nature in the prayer which Jesus taught his disciples to pray. So as we recite this prayer in faith, or use it as a framework for an extended time of prayer we begin with the reminder that it is a prayer of community. Father God, thank you that you place us in community together and that you draw us into deeper community through the words of the Lord’s Prayer. Lord, when we struggle with that community aspect give us grace to be faithful and love to enable us to grow. As we pray remind us again and again that we do so not on our own, but that we join together with brothers and sisters in Jesus Christ to pray to our Heavenly Father, who has loved us so much that he sent Jesus to die in our place. Thank you for uniting us together in Jesus. In Jesus name, who unites us together as brothers and sisters, we pray. Amen.